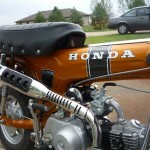 Restored 1969 Honda CT70 Motorcycle. 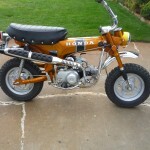 This great little Honda was restored by its owner. 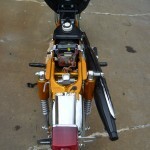 All parts were blasted and painted in the correct colours. 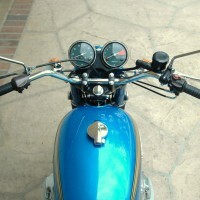 The valves and seals were replaced. 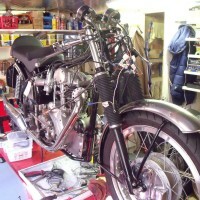 New clutch plates were fitted. 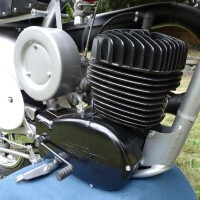 The seals and bearings were replaced. 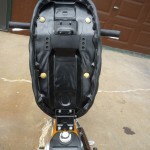 New case bolts were used. 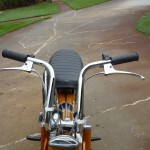 New OEM Honda handle grips were fitted. 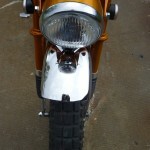 The air filter, tail light lens and reflectors were replaced with Genuine Honda items. 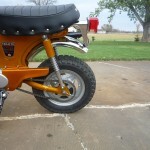 The front and rear fenders were replaced. 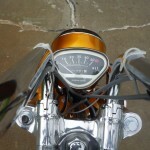 New levers and cables were fitted. 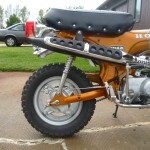 New fork tubes were installed. 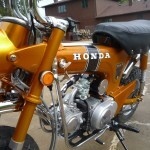 An excellent restored 1969 Honda CT70 Motorcycle. 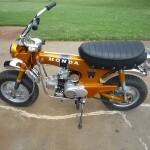 Honda CT70 – 1969 For Sale or Wanted? 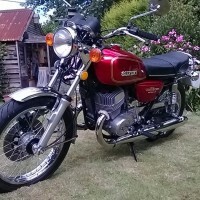 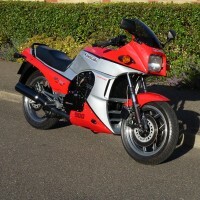 If you're looking for the perfect Honda CT70 – 1969 for sale then take a look at the hundreds of restored classic motorcycles listed on our extensive Motorcycles For Sale pages. 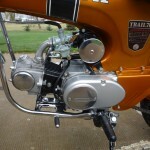 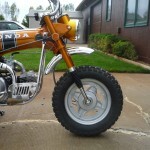 We regularly feature very nice restored Honda CT70 – 1969 bikes for sale. 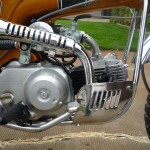 Spares and Parts for your Honda CT70 – 1969? 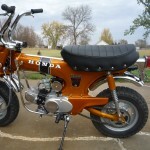 Workshop Manual for your Honda CT70 – 1969?